We Can Help With That Special Gift! Christmas is coming fast! Know someone who needs a computer? Remember, we offer FREE layaway! Don’t forget about Small Business Saturday! 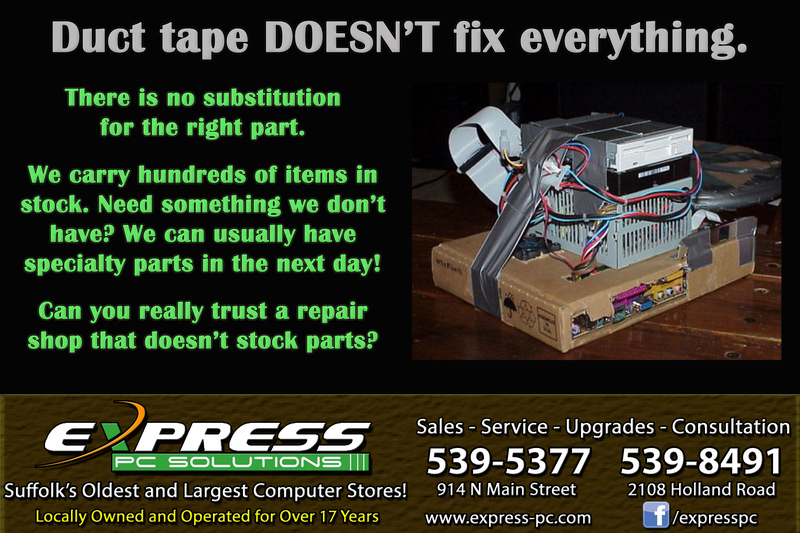 We’ve got the parts you need, WHEN you need them. Windows 10 Now Available! Free Upgrade to All Windows 7 & Windows 8 Home Users!